In using the Leeming Spartan Cricket Club’s website, you agree to the following Terms & Conditions, which are used to help protect the integrity of the Club and our Sponsors, as well as ensure you are aware of your rights regarding personal information. For more information about the Leeming Spartan Cricket Club’s policies, please click here, or read on below for our full terms and conditions. For more information regarding the Leeming Spartan Cricket Club’s logo, please refer to our Club Logo Policy. All copyright in the text, images, photographs, graphics, user interface, and other content provided on this website and the mobile version of this website (“the Website”), and the selection, coordination, and arrangement of such content, are owned or licensed by the Leeming Spartan Cricket Club (Inc.), to the full extent provided under Australian copyright laws and all international copyright laws. The Website and the information contained in it are for informational purposes only. Any reproduction, copying, or redistribution for commercial purposes of any materials or design elements of the site is strictly prohibited without the Leeming Spartan Cricket Club (Inc.)’s prior written consent. Systematic retrieval of data or other content from the Website to create or compile, directly or indirectly, a collection, compilation, database or directory without prior written permission from the Leeming Spartan Cricket Club (Inc.) is prohibited. 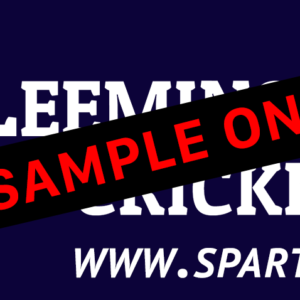 The Website includes registered and unregistered trade marks of the Leeming Spartan Cricket Club (Inc.) and various third parties, including but not limited to our Sponsors and subsidiaries of the Leeming Spartan Cricket Club (Inc.). You may not use these trade marks without the prior written consent of the owner of the relevant trade mark. 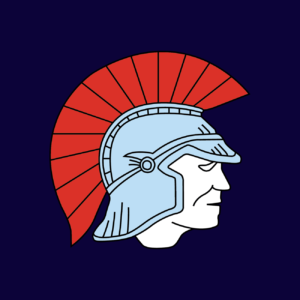 The Leeming Spartan Cricket Club logo and name (“Leeming Spartan Cricket Club”) are registered trademarks of the Leeming Spartan Cricket Club (Inc.). The links to third party websites that are contained within this Website are provided only for your convenience. The Leeming Spartan Cricket Club (Inc.) does not necessarily endorse those third party websites or any of the products or services offered on or through them. You access those third party websites and use the products and services offered on or through them at your own risk. The Leeming Spartan Cricket Club (Inc.) welcomes other website managers and administrators using the Leeming Spartan Cricket Club (Inc.) logo as a link from their site to ours at the www.spartans.com.au home page. Undertake any conduct that, in the Leeming Spartan Cricket Club (Inc.)’s sole discretion, restricts or inhibits any other user from using or enjoying the Website. You will indemnify the Leeming Spartan Cricket Club (Inc.), its employees, agents and representatives from any loss or damage including consequential loss or damage which may arise from the posting or deletion of your submitted content or from any breach by you of these terms or from your use of the Website.